Get the "Expand and Improve Your Client Base" workbook now and acquire your ideal clients. Too many business owners are challenged by flatlining revenue and the stress that goes with that. David Shriner-Cahn is on the podcast today to help hard-working solo entrepreneurs attack and solve these types of problems. David founded his firm, TEND Strategic Partners, in 2006. 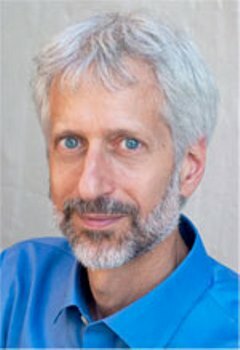 Through his unique approach to consulting, David creates strategies to solve small business problems and drive growth. By the way, unlike most business consultants he doesn’t just hand off recommendations, he personally implements the necessary changes with his clients. David is also the host of Smashing The Plateau, a podcast for business owners who are determined to break through their current limitations. No matter how successful you might be today, there’s probably at least one area where external or internal roadblocks are keeping you from fully achieving your goals. 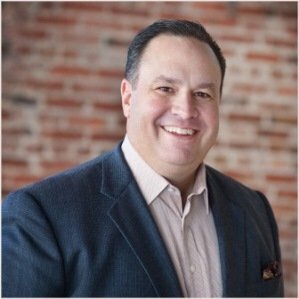 Beyond his many years of experience helping business owners to break through roadblocks, David’s background includes eight years in the corporate world as a chemical engineer, and over 20 years as a CEO, COO, CFO in the non-profit world. His C-level experience and executive maturity makes him a rare find among small business consultants. Are you looking to break out of a plateau or achieve sales and marketing goals that seem unattainable? If so, then you don’t want to miss the wisdom that David shares in today’s interview. Scroll down to the Podcast Player and listen now! It's all free -- click below for immediate access! Are you tired of gurus pitching you their marketing blueprint miracle programs? This type of marketing program is sold in a generic format that makes adapting it to your unique needs difficult, at best. My advice? 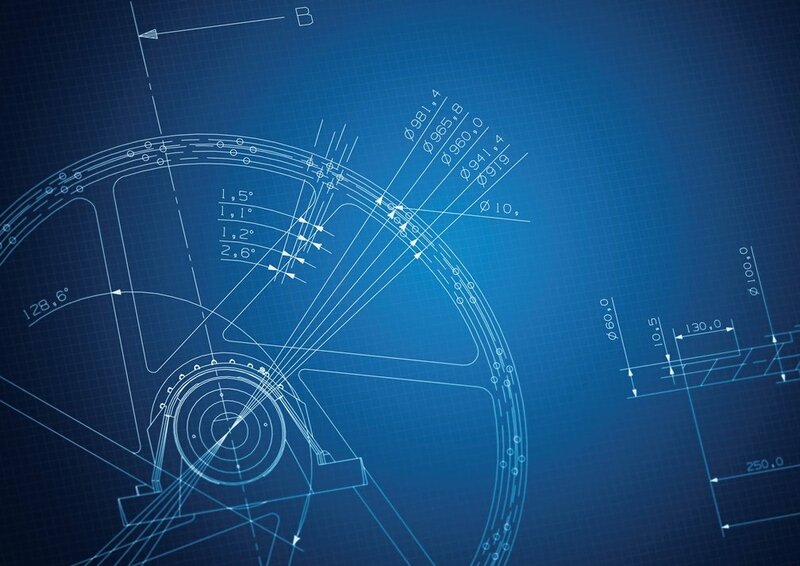 Forget about that “marketing blueprint” nonsense. A one-size-fits-all program won’t work. Attracting and acquiring more of the right clients for you is possible, but you’ll need to create a strategy that is laser-focused on your ideal clients and tailored to your signature talents. To succeed, you must develop a deep understanding of your ideal client and the value you can deliver to them. Only then can you create a value proposition and a sales and marketing strategy that helps you generate the right business on a consistent basis. As a solo professional, you are your business. You need to operate from a position of strength and resiliency in order to thrive long-term. It’s time to run your business in a way that works with — not against — who you really are as a professional. You need an understanding of how your values, your personality and work style naturally compliment and support the needs of your ideal clients. By looking beyond the current limits of how you see yourself and your business, you can begin to uncover the specific ways you can find and serve your ideal clients. Combine that kind of clarity with a strategy that fits your unique business and goals – and you’ll find that attracting and acquiring the right clients isn’t so hard. Believe it or not, it can actually be fun and exciting! If you want both more and better clients, then I’d like to help. We can start to uncover the personalized solutions you’re seeking in a complimentary 20-minute consultation (by phone or Skype). I’ll listen carefully to understand your current situation, discuss how my personalized approach relates to your business challenges, and answer any questions you have along the way. Ready for some fresh ideas for your business? Click the green button below and schedule your FREE 20-minute consultation with me. I look forward to speaking with you! Let’s face it, nothing is more important to the success of your business than acquiring the right clients and growing your revenue. My guest on the podcast today, Ian Altman, helps self-employed professionals to become outrageously successful targeting and winning new business. Ian is a successful entrepreneur and a bestselling author. His latest book, Same Side Selling: A Radical Approach to Break Through Sales Barriers, is packed with creative sales tips and practical strategies for people selling their services in the B2B space. Same Side Selling has received rave reviews from a variety of business and sales luminaries. Here’s what top business thinker and bestselling author, Daniel Pink, had to say: “Altman and Quarles deliver a whole new world of selling, and they’re really onto something.” I couldn’t agree more. In addition to being an accomplished writer, Ian is also a top-rated speaker for Vistage International. He’s often called upon to address CEO forums related to revenue growth, innovation, and sales leadership. Over the years, Ian has become an in-demand sales educator and advisor to professional services firms and solo practitioners like us worldwide. Ready to discover how you can become outrageously successful at targeting and winning business? If so, then don’t miss the creative sales strategies that Ian shares on the podcast today. Scroll down to the Podcast Player and listen now! 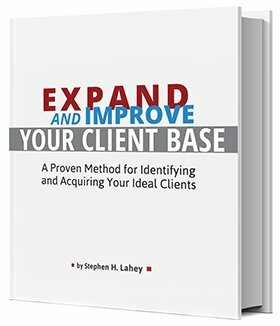 Get the "Expand and Improve Your Client Base" interactive workbook - acquire more ideal clients - it's free.